Robert Mugabe has been in power for 37 years. The military coup last week was relatively peaceful, but risks breaking down into violence as Mugabe refuses to step aside. 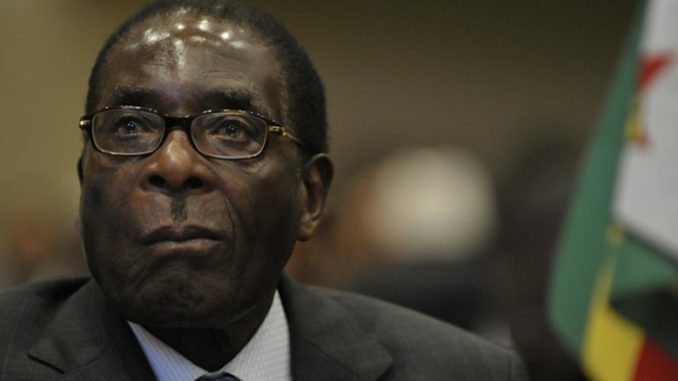 Last week Zimbabwe’s military moved to oust the country’s president, Robert Mugabe. A week before, the 93-year-old Mugabe had decided his wife, Grace, would succeed him when his presidency ended. Zimbabwe’s military did not approve and executed a coup. They put Mugabe under house arrest and since then negotiations have been taking place. For 37 years Mugabe has ruled Zimbabwe, or as many would describe it, misruled Zimbabwe. He came to power as a hero fighting against white rule colonialism back when the country was known as Rhodesia. Since then he has wrecked the country with bad economic policies that have made the average Zimbabwean poorer than when he first came to power in 1980. What was once a food exporting nation now has serious food shortages. His wife, 41 years younger than himself, is also known by the moniker “Gucci Grace” for her extravagant lifestyle and spending. She also was recently accused of assaulting a model in a hotel room in South Africa. Her list of qualifications to succeed Mugabe are lacking and her only real qualification seems to be that she is married to him. Their relationship began while Mugabe’s previous wife was on her deathbed. They have had three kids together. Emmerson Mnangagwa, the Vice President that Mugabe sacked to clear the way for his wife to succeed, is a former intelligence chief. He presided over the infamous 1983 Ndebele massacres where Mugabe used his military’s North Korea-trained special forces to crush a minor insurrection. Estimates vary, but it is estimated the military murdered 20,000 Ndbeles in Matabeleland. Survivors of the massacre were forced to dance on mass graves while singing praise to Mugabe’s Zanu-PF party. Though, despite his history, he does seem to exhibit some pragmatism. He has reached out to opposition leaders, and he is acutely aware that the country is broke and in urgent need of loans such as from the IMF. Given the coup, it appears the military backs his leadership and he may become Zimbabwe’s next ruler. Tens of thousands of Zimbabweans hit the streets over the weekend in a carnival-like atmosphere cheering Mugabe’s decreasing power and calling for him to step aside. Negotiations seem to have hit an impasse and at the time of this writing Robert Mugabe refuses to step down or compromise on any power sharing agreements. The longer the negotiations take, the more likely it may be that the situation deteriorates into violence. The next national elections are scheduled to be held during the summer of next year. With the new power struggle, future foreign aid most likely will be dependent on a free and fair election monitored by neutral parties such as the United Nations. However, coups rarely come without misery and despite the peacefulness of the first few days of the coup, Zimbabwe is a tinderbox for atrocities to take place. A November, 2016 report by the United States Holocaust Memorial Museum warns of large-scale and systematic violence against civilians related to the uncertainty of who will succeed the 93-year-old Mugabe. Even small amounts of violence can worsen Zimbabwe’s food shortage. Update: Shortly after this article was published, Robert Mugabe officially resigned as President of Zimbabwe. Emmerson Mnangagwa has been announced to take Mugabe’s place as Zimbabwe’s leader.